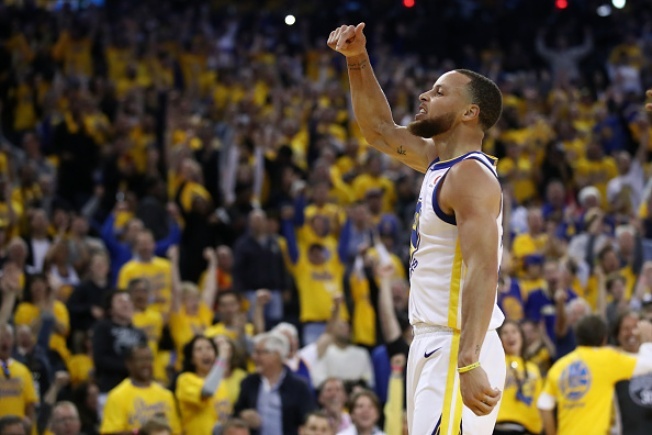 OAKLAND -- With one searing quarter on Sunday, Stephen Curry squelched concerns about his health and lifted the Warriors within two wins of a fourth consecutive trip to the NBA Finals. 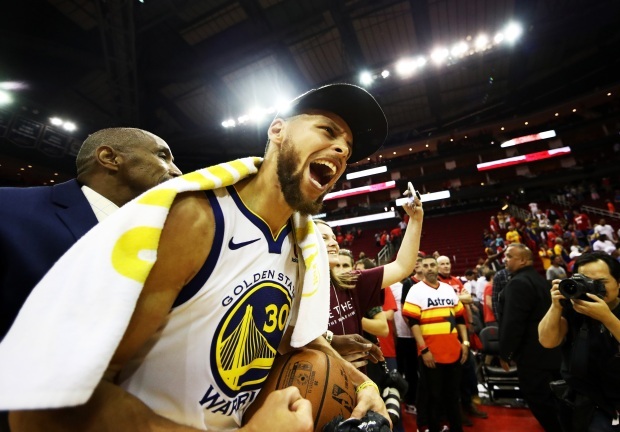 With Curry scoring 18 of his game-high 35 points in the third quarter, the Warriors took control en route to a 126-85 thumping of the Rockets in Game 3 of the Western Conference Finals. Kevin Durant scored 25 points, Klay Thompson 13, with Draymond Green and Andre Iguodala adding 10 apiece as the Warriors took a 2-1 lead in the best-of-seven series. Quinn Cook came off the bench to add 11 points. The Warriors limited Houston to 40-percent shooting from the field, and 30 percent in the pivotal second quarter. STANDOUT PERFORMER: All five starters played well, but Curry was devastating and Green was a beast inside and on defense. Curry’s line: 35 points (13-of-23 shooting from the field, including 5-of-12 from deep, 4-of-4 from the line), six rebounds, one assist and one block. He played 34 minutes and finished plus-24. Green’s line: 10 points (3-of-9, 1-of-4 from deep, 3-of-3 from the line), 17 rebounds, six assists, one block and one steal. He played 37 minutes and was plus-26. TURNING POINT: After Houston took a 22-20 lead with 3:31 remaining in the first quarter on two free throws by Eric Gordon, the Warriors responded with a 13-0 run, taking a 33-22 lead on a Shaun Livingston turnaround jumper with 11:48 left in the second quarter. The Warriors took a 54-43 lead into intermission and never were threatened after that, pushing it to 64-43 with a 10-0 run out of the half and maintaining a double-digit lead for the remainder of the game. INJURY UPDATE: Warriors: G Pat McCaw (lumbar spine contusion) was listed as out. WHAT’S NEXT: Game 4 is scheduled for Tuesday night. Tipoff at Oracle Arena is set for 6 p.m. PDT. Coverage begins on NBC Sports Bay Area with Warriors Outsiders at 4pm and continues on NBC Sports Bay Area Plus with Warriors Playoff Central at 4;30pm. After the final buzzer, tune back to NBC Sports Bay Area for complete reaction on NBC Sports Bay Area.